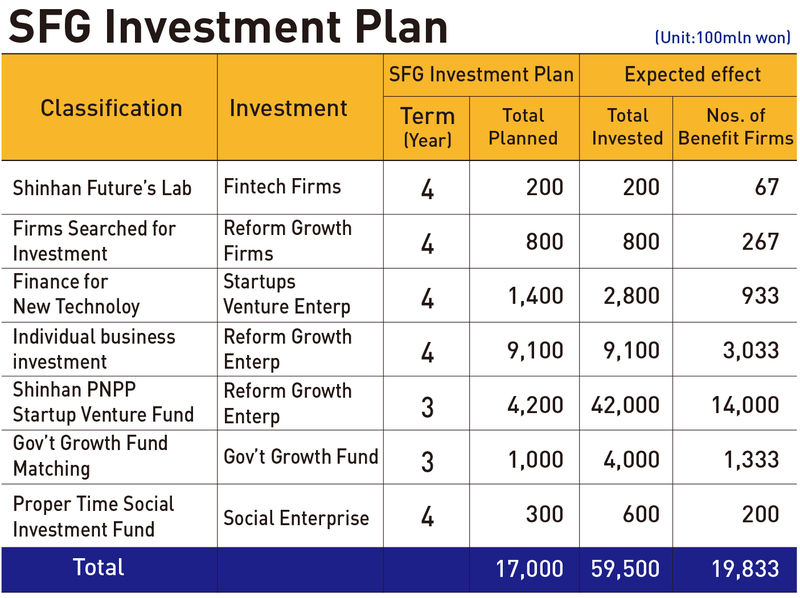 Over the next four years Shinhan Financial Group is set to invest 1.7 trillion won in businesses that are heavily focused on R&D to pivot its paradigm to the development of high-tech industries. The financial group said on Feb. 20 they expect the investments would have some 6 trillion won in direct and indirect effects. “We plan to seek new growth engines for Korea and have them grow,” the group said in announcing the four-year investment plan. Chairman Cho Yong-byeong made the announcement at a meeting with the group’s affiliate CEOs on management strategy that took place at the group’s head office in the Chung Ward in Seoul. The Future Strategy Research Institute will take over the management of the investment project as it is directly under the chairman’s office and is going through a big reorganization with Lee Seong-yong, former president of Bain and Co. in Korea, appointed to head the institute. 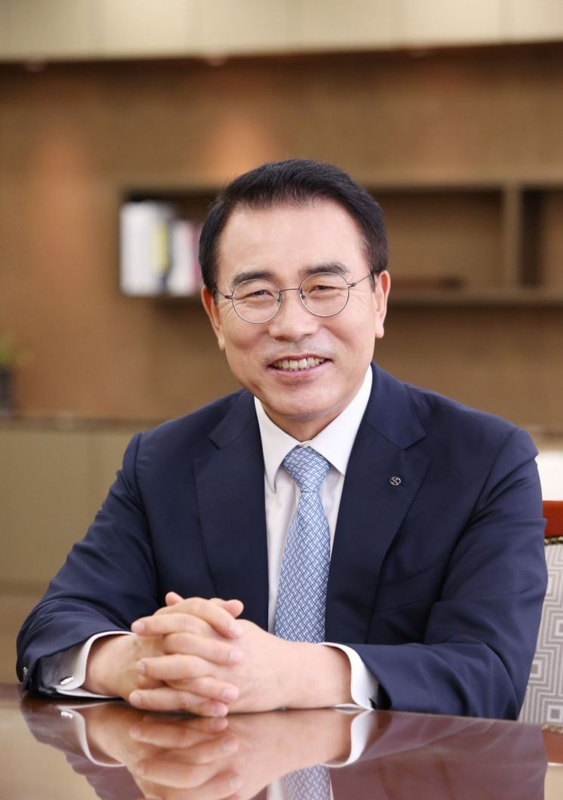 Chairman Cho directly announced the appointment of President Lee at the end of last year when he said the bank needed “new DNA” to step up its strategy to lead its future growth. He said President Lee is the person they had been looking for, as he has wide global experience having worked for a global investment firm. The Future Strategy Research Institute is to focus on maximizing the group’s investment values by investing in the R&D activities, to boost the operational capacities the group and its affiliates, improve the evaluation and reimbursement system and continuous monitoring investments. The group has been pursuing the Hopeful Society Project since 2017 aimed at realization of the Inclusive Finance, the collection of social contributions made by the affiliates. The Reform Growth Project is meant to focus on the Productive Finance Project to collect the productive financial capacity of each affiliate in one place. The project consists of SMEs aiming at technology reform, venture and startups, the companies related to the 4th Industrial Revolution and social enterprises. The group projects some 20,000 business firms would get 300 million won in loans each under the project. Shinhan Financial Group has roots that date back to 1982 when Shinhan Bank became the first bank in the country to be founded solely with private funds. Since then, we have paved the way forward for Korea’s financial industry. During the height of the financial restructuring brought on by the 1997 foreign currency crisis, Shinhan turned crisis into an opportunity and in 2001, established the first privately held financial holding company in the country. That was our first step toward becoming an integrated financial services group. Subsequent success in expansion and diversification strengthened our standing as Korea’s leading financial group. Now with a presence in 20 countries worldwide, including Asia, Shinhan is poised for new challenges, Chairman Cho Yong-byeong said.